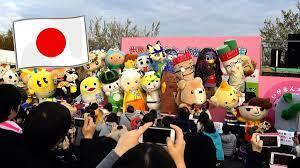 World Character Summit opens in Japan, over 300 mascots greet fans! The World Character Summit is basically a huge festival in Japan filled with funny cartoon characters! Over three hundred mascots stand around in a muddy field and perform on stages to meet and greet their fans. That’s Teletama-kun, the cracked-egg mascot of Television Saitama, posing next to a sweet set of wheels. 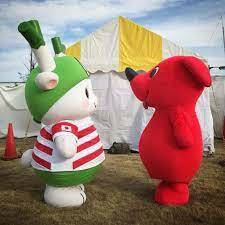 And Kamagaya City’s mascot, Kamatan, also shows off next to a car.